Petrophysics is the science of evaluating the rock and fluid properties of oil, gas and water reservoirs through the acquisition of physical samples, electrical, chemical, nuclear and magnetic data acquired by surface logging, downhole coring, and drilling and wireline sondes. The evaluation, analysis and interpretation of this data is as much an art as a science as it requires an understanding of geology, chemistry, physics, electronics, mechanics and drilling technology. The techniques have been developed over the last 100 years primarily by the oil and gas industry, but the principles are equally relevant in coal mining, hydrogeology and environmental science. 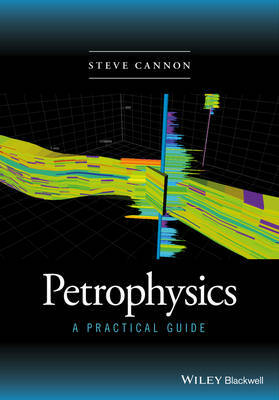 This book is firmly aimed at students of geology and petroleum engineering looking for a practical understanding of the background and workflows required to complete a petrophysical study of a well, a reservoir or a field. Petrophysics is log analysis constrained by geology, and if we ignore the rocks we risk making poor investment decisions.